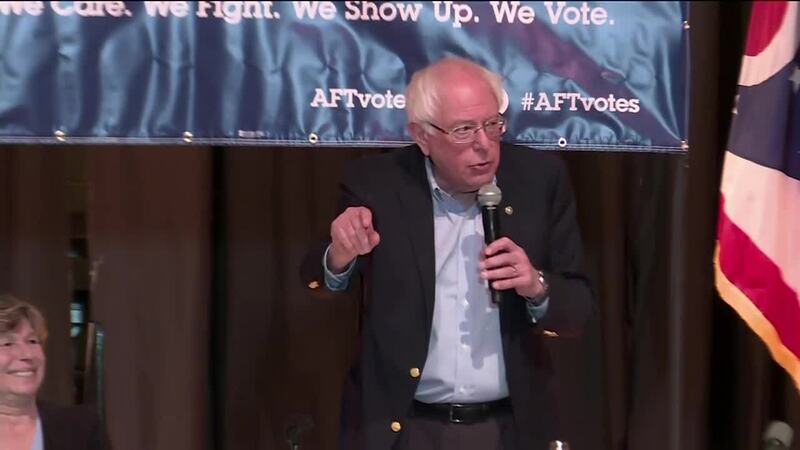 LORDSTOWN, Ohio — Democratic presidential candidate U.S. Sen. Bernie Sanders made a campaign stop in Lordstown, the home of the idled General Motors plant, on Sunday afternoon. Sanders visited Lordstown High School to speak about his presidential run and what he stands for as a candidate. The campaign stop was partnered with the American Federation of Teachers. A major focus of Sanders' message was the future of the economy and how it effects working class families, like those in Lordstown.